Ashes of Creation Apocalypse Announced, Launching Dec 18th | Nerd Much? Those of you who have been following the development of Ashes of Creation closely will even be surprised by this one: Intrepid Studios is making a Battle Royale spin-off already, as they announced Ashes of Creation Apocalypse last night. Ashes of Creation Apocalypse takes the Ashes of Creation engine and setting and spins it into an impressive-looking fantasy Battle Royale game. The game will be pitting 100 of players at a time against each other in the massive world, bringing all-out war to the high fantasy IP. AoC Apocalypse will build upon and tweak many of the core systems from the currently in-development MMO (which we’ve been salivating over here at Nerd Much?). The game will also have AoC‘s brilliant graphics and all the action combat you can handle. And judging by the trailer, we’re in for some awesome-looking spell effects as well. While the game will launch with just the 100-man Battle Royale mode, Intrepid promises more to look forward to in the coming months, including 200-player massive castle siege battles and a co-op horde mode with missions. Intrepid also promises that they’re still hard at work on the MMO side of things, with the game being deep into production. 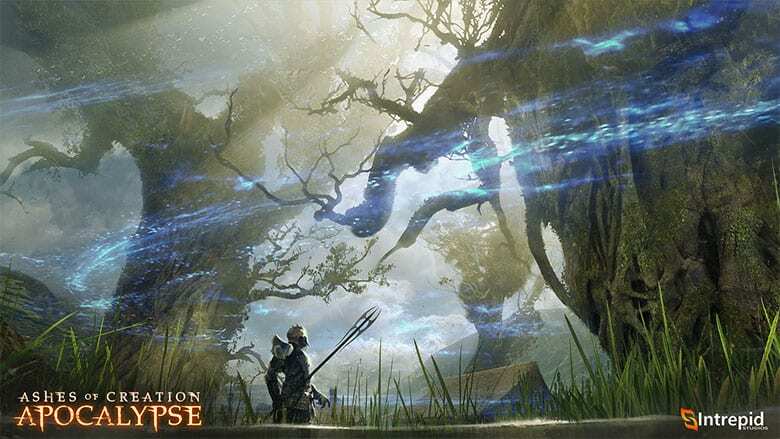 They also noted that every cosmetic item that players earn or buy in Ashes of Creation Apocalypse will also be usable in the MMORPG when it launches. Unfortunately, Apocalypse isn’t region-locked, meaning Intrepid clearly hasn’t been paying attention to the mess that is PUBG and their region-free issues. Bummer. Hopefully, they’ll have something in place to dropkick griefers and farmers. Ashes of Creation Apocalypse is set to launch in open beta on Steam on December 18th, and it will be for PC only. Stay tuned to Nerd Much? for more because we’re definitely going to follow this one closely.